Watch False Flag Weekly News cover this explosive story! In The Watchdogs Didn’t Bark: The CIA, NSA, and the Crimes of the War on Terror, John Duffy and Ray Nowosielski dismissed the official story that 9/11 was merely “a failure to connect the dots.” They wrote several accounts from former US intelligence officials who revealed how American agencies ignored intelligence on Saudis. “It’s horrible. We still don’t know what happened,” said Ali Soufan, one of the lead FBI counterterrorism agents whom the CIA kept in the dark about the movements of the future al-Qaeda hijackers. The September 11 terrorist attacks led to the wars on Afghanistan and Iraq, and also allowed some people in Washington, DC to push the US closer to being a virtual homeland-security police state. “I am sad and depressed about it,” said Mark Rossini, one of two FBI agents assigned to the CIA’s Osama bin Laden unit. 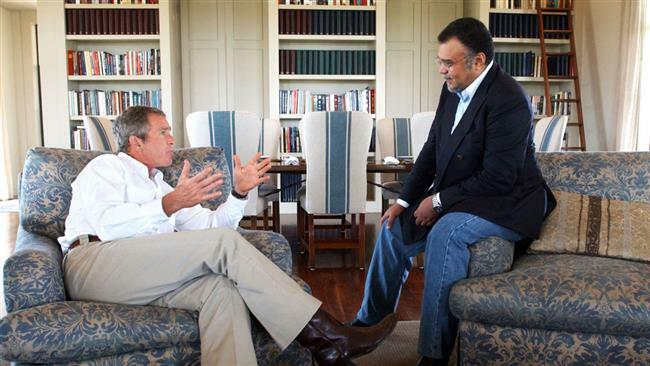 He said CIA officials inexplicably blocked them from informing their headquarters about future al-Qaeda plotters present in the United States in 2000 and again in the summer of 2001. “It is patently evident the attacks did not need to happen and there has been no justice,” he said. In 2004, the National Commission on Terrorist Attacks Upon the United States said it found no evidence that the “Saudi government as an institution, or senior Saudi officials individually funded” al-Qaeda. Steven Moore, the FBI agent who led the bureau’s investigation into the hijacking of the plane that hit the Pentagon, has accused the official 9/11 Commission of misleading the public when it said it “had not found evidence” of Saudi assistance to future hijackers Khalid al-Mihdhar and Nawaf al-Hazmi. In their book, Duffy and Nowosielski have presented an update on what’s been learned about Saudi support for Al-Qaeda in recent years. US investigations have revealed that officials from the Saudi Kingdom’s Islamic affairs ministry helped the hijackers get settled in California. “Saudi intelligence has admitted that they knew who these two guys were,” said Andrew Maloney, an attorney for families of the 9/11 attack victims who filed suit against the Saudi government in federal court in New York last year. Terry Strada, a leader of the group 9/11 Families & Survivors United for Justice Against Terrorism, is angry at the US government’s refusal to release all it knows about the run-up to the 9/11 attacks. 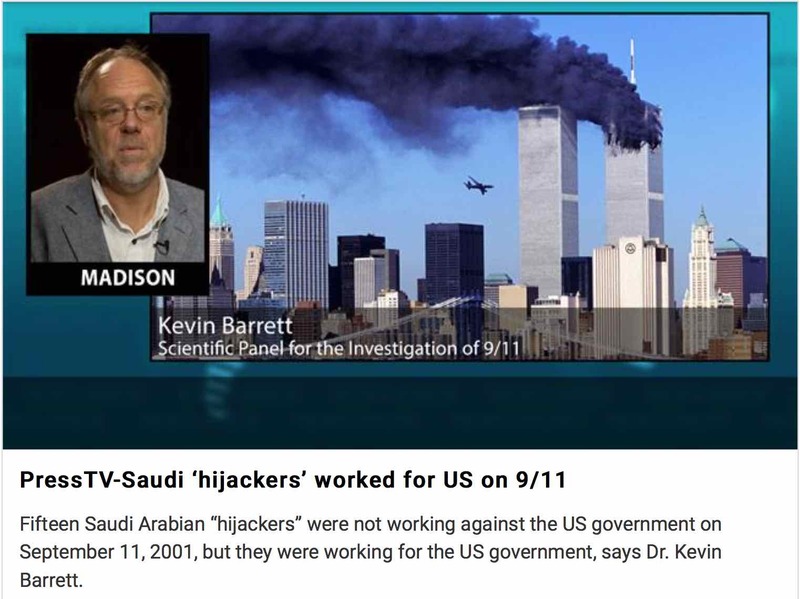 Fifteen Saudi Arabian “hijackers” were not working against the US government on September 11, 2001, but they were working for the US government, says Dr. Kevin Barrett. 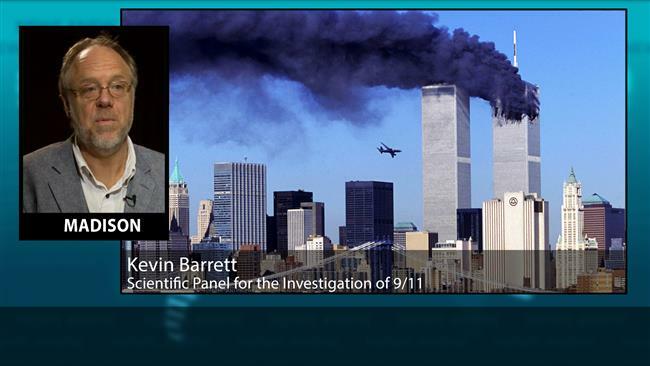 Dr. Kevin Barrett, a founding member of the Scientific Panel for the Investigation of 9/11, has said that 15 of the 9/11 “hijackers” from Saudi Arabia were actually CIA agents working for the United States government. Barrett, an American academic who has been studying the events of 9/11 since late 2003, has also said that the CIA is afraid of any serious investigation into the attacks because it would expose the role Israeli and American intelligence played in the 9/11 coup d’état.